These photos are said to be taken by a passenger in a B737, right after a mid air collision with a Embraer Legacy while cruising at 35,000 feet over South America. 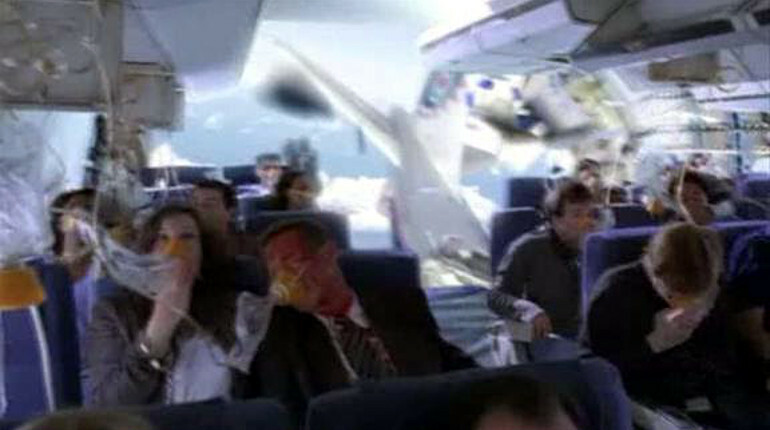 Moments later the B737 crashed, killing everyone on board. In the first photo there is a gaping hole in the fuselage. In the second photo one of the passengers is being sucked out of the gaping hole.